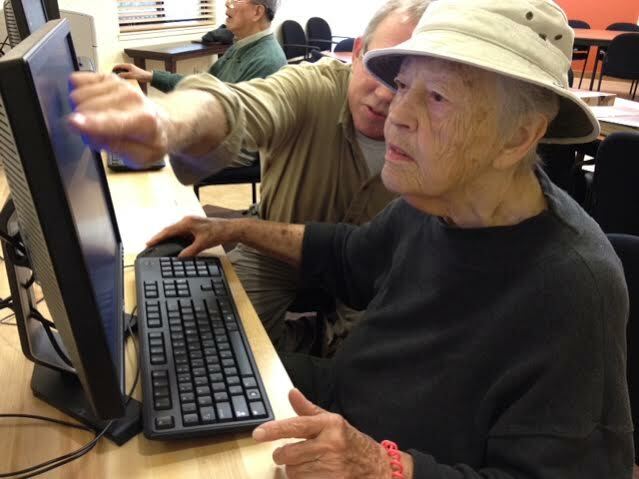 In the next few months, Community Technology Network will be rolling out a new program providing digital literacy training to low-income East Bay residents. The California Advanced Services Fund (CASF) has expanded to fund broadband access and adoption efforts in publicly supported housing communities. In 2013, AB 1299 was signed into law, creating CASF’s Broadband Public Housing Account. Eligible housing developments can apply for funds to cover infrastructure build-out and digital literacy classes, so residents will have access to the Internet in their homes and training in how to use it. Many low-income families are sitting in the digital darkness. A CETF 2015 survey reports that 48 percent of people without a high school diploma lack home broadband access. Among the reasons for not having Internet at home, 36 percent said it was too difficult to set up or learn. CTN is partnering with CASF grantee Satellite Affordable Housing Associates (SAHA) to provide digital literacy training to SAHA housing communities in three East Bay cities. We will deliver workshops in English, Spanish, Mandarin, and Cantonese and also provide support for program development and training for SAHA’s volunteers. Chris Hess, SAHA’s director of resident services, says this about the partnership. SAHA’s partnership with CTN and ReliaTech is an amazing opportunity for us to address the low computer literacy and Internet usage among low-income affordable housing residents. We can imagine homebound seniors learning to order groceries and manage their health care online, immigrant families using Skype to communicate across oceans, and children having access to a world of knowledge for their homework. Our partnership will give them both the skills and the equipment to unlock the Internet’s transformative potential for low-income people, and we are honored to be one of California’s first projects funded under this program. Currently, residents of low-income housing developments have limited access to training in digital skills and the knowledge they need to get out of poverty. Some don’t have the money to participate in fee-based classes, take transit, provide child care, or take time off work. For grandparents raising grandchildren and for the disabled, traveling to libraries and community centers for access to the Internet can be challenging. Others have literacy issues. New immigrants might not even read in their native language. On top of that, many people are intimidated by technology or don’t understand why it’s relevant. CTN believes that we need to meet people where they live by training community members to serve as technology advocates and mentors. People like this can be more successful at helping their neighbors because they speak the same language and their neighbors trust them. If you are interested in volunteering as a tech tutor in Oakland, Walnut Creek, or Berkeley, please contact Kami Griffiths for more information.